MAPS Stipendiary Trainee Old Question Papers & Notification 2017 Details – Nuclear Power Corporation of India Limited (NPCIL) & Madras Atomic Power Station (MAPS) has issued a latest recruitment notification (Advertisement No.01/MAPS/HRM/2017) to fill up Stipendiary Trainee/ Technician-B posts. 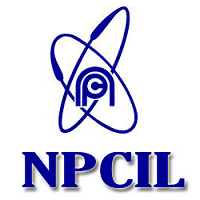 Candidates who are eligible and interested they can apply online mode by visiting the official site before the last date at www.npcil.nic.in. Applicants also check other details related to MAPS Stipendiary Trainee/ Technician-B Notification 2017 like how to apply, selection process, educational eligibility, old question papers and more details are given below. Selection Process: The selection method will consist of 3 stages – Stage 1 & 2 written test and stage 3 is skill test/trade test. The selection process of MAPS Kalpakkam Stipendiary Trainee/ Technician-B is written test mode, so candidates need to check previous question papers of Kalpakkam Stipendiary Trainee/ Technician-B, question paper pattern, syllabus, study material, and books to get a high score in the exam. The pattern of Stage-1 Test: Questions will be on Mathematics, Science, and General Awareness. The qualification standard for Stage-1 shall be according to their category and cut off marks. The pattern of Stage-2 Test: Candidates clearing Preliminary Test (Stage-1) will be eligible for appearing in Advance Test (Questions will be from the respective trade) (Stage-2). The level of questions for Operator Trainees based on the syllabus in HSC or ISC. The qualification standard for Stage-2 shall be according to their category and cut off marks.